Once again, another Octagon event was marred in controversy thanks to the judges sitting just inches away from the live action. Thankfully, the FightMetic has provided the box score from Leonard Garcia’s unexpected split decision victory over Nam Phan at “The Ultimate Fighter 12 Finale” to try and help fans make sense of the nonsense. 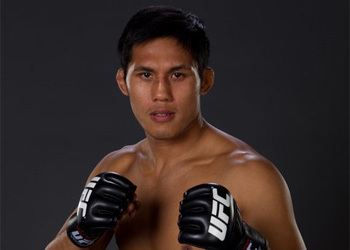 According to the UFC’s official number crunchers, Nam landed more strikes in all three rounds. The middle stanza wasn’t even close, as the Vietnamese-American undeniably claimed those five minutes. He connected on three more shots than Garcia did in their hotly contested 1stRound. However, Nam landed 16 more total strikes in the third round and still lost the fight in the eyes of two of the three judges. Although Garcia secured a takedown in the final installment, their time on the canvas was minimal and the damage he may have inflicted was even less. Kevin Iole of Yahoo! reported both Adalaide Byrd and Tony Weeks gave Garcia the opening and closing rounds. Junichiro Kamijo was the only judge to award Phan with the obvious victory, awarding him a 30-27 sweep. Twisting the incompetent knife even deeper into Byrd and Weeks’ side was when Garcia immediately admitted to not winning the fight. The (29-28, 27-30, 29-28) split decision verdict was so outrageous, even Armando Galarraga thinks Nam got a raw deal.